Blues for Martin Luther King Jr.
Two plow mules draw the farm wagon bearing the casket of Rev. Martin Luther King, Jr. along the funeral procession route in Atlanta, Georgia, April 9, 1968. In the despairing days after Dr. King’s death, the nation was overcome by the blues, so it was fitting that the pre-eminent blues band in the land would play for the activists in Resurrection City. Two of the most inspiring currents in modern American history came together when Muddy Waters and his electrifying Chicago blues band traveled to Resurrection City in Washington, D.C., on May 18, 1968, to play a benefit concert for the poor people and civil rights activists camped out in a shantytown in the shadow of the Lincoln Memorial. Both of the mighty rivers that converged on that fateful day in the nation’s capital — the river of song and the river of justice — had their headwaters in the state of Mississippi, in two of the nation’s most poverty-stricken areas. The river of song had its source at the ramshackle wooden shack where Muddy Waters lived and labored and first played the blues; while the river of justice had its headwaters in Marks, Mississippi, the small town in Quitman County where Martin Luther King, Jr. first saw the full extent of childhood poverty and hunger. King also quoted that same biblical passage from Amos in “Letter from a Birmingham Jail.” And those same words are now carved in black granite in the memorial to the martyrs of the Freedom Movement in Montgomery, Alabama, the city where King helped organize the Montgomery bus boycott. Water constantly flows over the inscription carved in granite: “We will not be satisfied until justice rolls down like waters and righteousness like a mighty stream.” King’s name is now engraved on that memorial with the names of 40 civil rights martyrs. Justice is like a mighty stream. On May 18, 1968, six weeks after King’s murder on April 4, an endless stream of justice-seeking activists began flowing into Resurrection City from all over the country, traveling on the Mule Train from Marks, Mississippi; setting out on caravans from the Edmund Pettus Bridge in Selma, Alabama; and arriving in Washington, D.C., after 3,000-mile journeys across the continent from Seattle, San Francisco and Los Angeles. Several thousand people had made this pilgrimage for justice, and once they arrived in the nation’s capital in May 1968, they constructed a settlement of plywood shacks and canvas tents on the National Mall — the first stage of their struggle for an Economic Bill of Rights for the Disadvantaged. Dr. King’s vision of an Economic Bill of Rights included the crucial elements needed to overcome poverty, hunger and homelessness: full employment, decent housing for all, and an adequate income for disabled people and those unable to work. Civil rights supporters around the nation were traumatized and grief-stricken after Martin Luther King’s murder, yet several thousand people had fought off their sorrow and outrage and had come to Resurrection City in a valiant effort to be faithful to the last, best dream of the slain civil rights leader — the Poor People’s Campaign. In those doomstruck and despairing weeks following King’s death, the nation itself was overcome by the blues, so it was symbolically fitting that the pre-eminent blues band in the land would play for the activists camped out in the nation’s capital. On the day after King’s assassination, Otis Spann, arguably the greatest blues pianist of all and a mainstay of Muddy Waters’s band, had performed two newly composed blues for the fallen civil rights leader — “Blues for Martin Luther King” and “Hotel Lorraine” — in a storefront church in Chicago, even as buildings were burning all around the church in the riots that erupted after the fatal shooting. Now, six weeks later, on May 18, 1968, Muddy Waters, Otis Spann, harmonica master Little Walter and bassist Willie Dixon had driven all night from Chicago to play a benefit concert at Resurrection City at the invitation of folklorist Alan Lomax, the man who had first recorded Muddy Waters for the Library of Congress in the summers of 1941 and 1942. Lomax had recorded Waters playing the blues in front of his primitive wooden shack on the Stovall Plantation near Clarksdale, Mississippi, where Muddy had lived for 17 years picking cotton and corn and driving a tractor for miserably low wages. Now, in a remarkable historic parallel 27 years after that first recording session, the stark wooden shack that had been home to Muddy Waters on the Mississippi plantation was mirrored in the hundreds of primitive plywood shacks and tents erected by activists working with the Southern Christian Leadership Conference to fulfill Martin Luther King’s vision of a nonviolent insurrection for economic justice. All these powerful currents of history flowed together and met at the base of the Lincoln Memorial in front of the Reflecting Pool on virtually the same site where Dr. King had earlier delivered one of the most momentous speeches in U.S. history at the massive March on Washington for Jobs and Freedom. Now, five years later, Muddy Waters stood on the same spot, playing the blues for a nation mourning Rev. King’s murder. “Lord I’m troubled, I’m all worried in mind. Now, 27 years later, in 1968, those lyrics seemed to be a haunting description of the grief in the souls of countless people who were left badly shaken by the murder of Martin Luther King, and the recent assassinations of so many others who had given their lives for peace and justice. Just as Muddy Waters sang, their hearts were “troubled” and they were “all worried in mind” by the loss of Martin Luther King. Many felt it might prove to be a fatal blow to the Freedom Movement, yet as they listened to Muddy Waters sing at Resurrection City, the blues once again were a lifeline. And who better to play the blues for the poverty rights activists living in the D.C. shantytown than Muddy Waters, one of the most influential masters in the history of the blues, and a man of the people who had known poverty while growing up in a shack himself. Waters had begun developing his brilliant slide guitar technique and enormously powerful vocal style while living in the Mississippi Delta. In 1943, he left the plantation, jumped aboard a train heading straight out of segregated Mississippi, and journeyed to Chicago where he put together a band of the finest blues musicians, including rhythm guitarist Jimmy Rogers, harmonica genius Little Walter, and the matchless blues pianist Otis Spann. Lomax described the impact of Muddy’s performance in Resurrection City in The Land Where the Blues Began. When Waters was first recorded, he was playing an acoustic guitar on the plantation, but in Chicago, the country blues had been transformed into a brand of urban electric blues that wailed with far greater amplification. But it still expressed the primal spirit of the blues from the Mississippi Delta, the blues Muddy had learned to love from his first musical hero and his greatest influence, Son House. 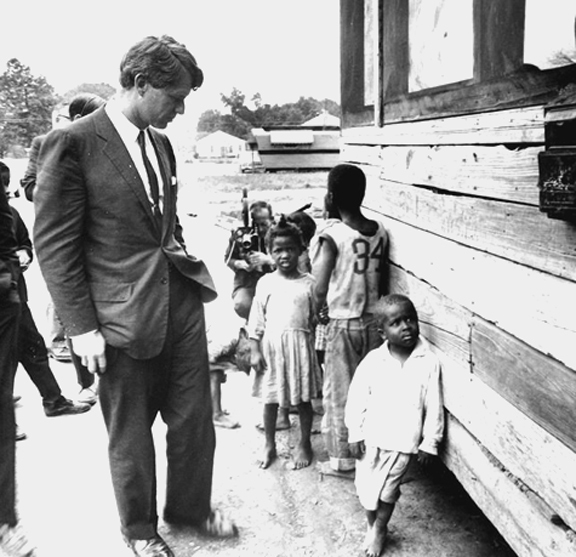 Senator Robert Kennedy visited the Mississippi Delta in 1967 where he found children starving in windowless shacks, and saw the urgent need to combat poverty. Many of those who had heard the cry of the poor had responded by traveling the long, hard road to Resurrection City. Thousands of poverty rights activists had been battered by grief and anger and despair over the murder of Martin Luther King, brutalized by the police in a hundred demonstrations for civil rights that had led up to this historic confrontation, and battered over their entire lifetimes by the twin assaults of racism and poverty. When the Poor People’s Campaign finally arrived in the nation’s capital to confront the legislators who had allowed tens of millions of American citizens to languish in poverty, they were besieged by unrelenting rainstorms that transformed Resurrection City into Mud City. The demonstrators stood their ground through the rest of May and the first weeks of June, but even as they tried to pick up the pieces and renew their commitment in the broken-hearted days after Rev. King’s murder, Robert Kennedy was assassinated in Los Angeles on June 5, a demoralizing and nearly unendurable death, especially since Kennedy was one of the originators of the idea of a Poor People’s Campaign. Already reeling from the murder of Dr. King, the poor people’s movement had been camped in Resurrection City for less than three weeks when they learned that Robert Kennedy had just been shot to death, only two months after King had been murdered. King and Kennedy, two of the nation’s most prominent champions of poor people — and two of its most outspoken antiwar voices — had been silenced. The road ahead to peace and justice in America now indeed seemed hopelessly hard — and endlessly tragic. Bobby Kennedy’s funeral procession passed through Resurrection City on its way to his burial at Arlington National Cemetery on June 8, and as it passed by the Lincoln Memorial, residents of the shantytown joined the mournful gathering in singing “The Battle Hymn of the Republic” in honor of the slain leader. Even though the entire nation seemed to have turned its back on the suffering of the poor people living in shacks and tents in the nation’s capital, Sen. Robert Kennedy had not forgotten them. It seems profoundly symbolic that, when his funeral procession passed through the shantytown, Kennedy became one of the only high-ranking political officials in the nation to visit Resurrection City as a friend of the poor people living there. In life, he had been their friend, and even in death, he was one of their most-loved visitors. Both the blues and gospel music have brought hope and consolation to countless people facing unbearable tragedies. Similarly, “The Battle Hymn of the Republic” was a lifeline during the dark days of despair after the murders of MLK and RFK. It is an image that sings to us down through the ages, this picture of poor people living in shacks at the foot of the Lincoln Memorial singing this elegiac tribute to Robert Kennedy. “The Battle Hymn of the Republic” was written during the Civil War, in November 1861, by Julia Ward Howe, a pacifist, suffragist and leader in the abolitionist movement. So many historical echoes were raised on the day that residents of Resurrection City sang this anthem, while a light rain fell on their encampment. On one level, it was simply a solemn and sad farewell to a man who had fought the good fight against poverty and the Vietnam War. Yet so many deeper historical memories were also awakened. The song originally was known as “John Brown’s Body” and was sung in tribute to the firebrand abolitionist who gave his life in the battle to abolish slavery. When Julia Ward Howe wrote a new set of lyrics, “The Battle Hymn of the Republic” became an anthem for the North in the Civil War. The lyrics, “He is trampling out the vintage where the grapes of wrath are stored,” would later give the title to John Steinbeck’s masterful novel about Dust Bowl poverty, The Grapes of Wrath. How fitting that it should now be sung at the foot of the Lincoln Memorial during the Poor People’s Campaign. In December 1963, shortly after the assassination of President John F. Kennedy, Judy Garland sang a stunningly powerful version of the song on her television show in honor of JFK. The network had tried to censor her from speaking out, or even mentioning Kennedy’s assassination, yet Garland still sang one of the most haunting versions of the Battle Hymn ever performed as a tribute to the man who had been her greatly admired friend. Garland put it all on the line, and delivered one of the most soulful and overpowering vocal performances of all time. And to bring the song full circle, Rev. Martin Luther King himself had often quoted “The Battle Hymn of the Republic” in his sermons and public speeches. When the Selma to Montgomery March reached the Alabama State capitol in Montgomery on March 25, 1965, during the struggle for the Voting Rights Act, Rev. King quoted its lyrics in his “How Long, Not Long” speech. Most poignantly, Rev. 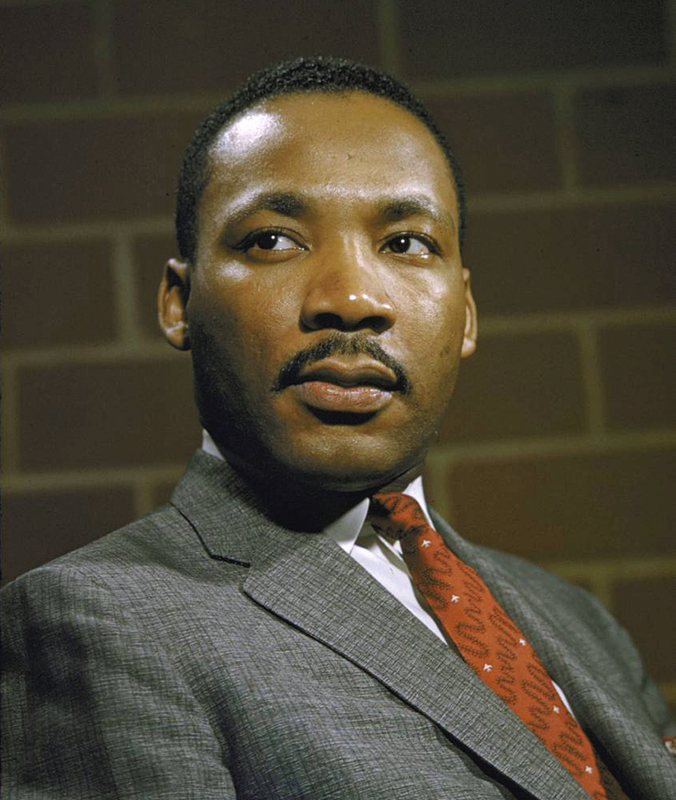 King quoted “The Battle Hymn of the Republic” in his final sermon, “I’ve Been to the Mountaintop,” delivered on April 3, 1968, at a church in Memphis on the night before his murder. With uncanny foresight, King told the congregation about the recent death threats he had received, and then assured them that he did not fear death, and was not fearing any man because he had been to the mountaintop and had seen the promised land. Then Rev. King spoke the very last words in the very last sermon he ever delivered — the lyrics of the Battle Hymn, the song that held such profound significance for his activism and ministry: “Mine eyes have seen the glory of the coming of the Lord.” The very next day, his voice was silenced. Only two months later, on June 8, Rev. Martin Luther King and Sen. Robert Kennedy would both be dead, and Resurrection City itself would be facing its final days, even as the members of the Poor People’s Campaign sang “The Battle Hymn of the Republic” at the foot of the Lincoln Memorial. Their encampment was completely destroyed by an estimated 1,500 police officers on June 24, 1968, and all the remaining residents were subjected to mass arrests and eviction. Their government had chosen to arrest its poor citizens, rather than house them. The activists who had kept their faith and hope alive for so many long years, even in the face of tragic assassinations and countless police assaults on the movement, were tear-gassed by their own country’s troops, police and National Guard. The great blues musician Muddy Waters (pictured above) grew up in this humble wooden shack (below) on the Stovall Plantation near Clarksdale, Mississippi. Those who had come by caravan and mule-drawn wagons to Washington, D.C., had traveled many long, perilous roads. But Muddy Waters had traveled for decades en route to playing the blues for the Poor People’s Campaign. It was one of the truly epic journeys — a hard-traveled highway of historic significance. On the evening of May 17, 1968, the day before he was scheduled to play the blues for the poorest of the poor, Waters and his band had set off on an all-night car trip from Chicago, reaching Resurrection City the next morning, on May 18. Yet that was only the last leg of his historic journey. Muddy’s real odyssey began long before that. He had traveled the nation’s highways for 25 years on his way to bringing the blues of the Mississippi Delta to lift the spirits of the activists gathered in Resurrection City. His journey began at the Stovall Plantation in the Mississippi Delta, where he had worked as a field laborer picking cotton and corn, and then as a tractor driver. 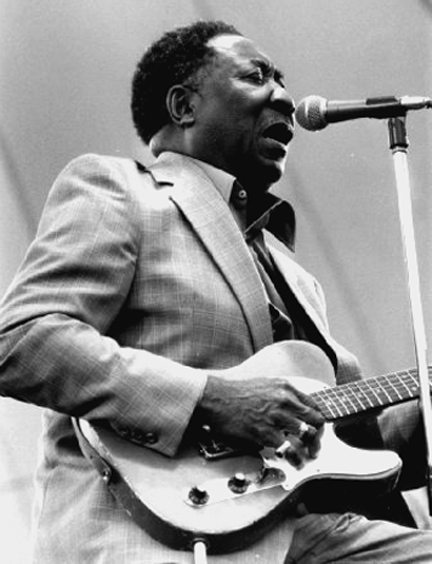 While living in Clarksdale, Waters had been greatly inspired by the impassioned bottleneck guitar and the deeply emotional vocals of Son House, one of the foundational masters of the Delta Blues. House is my favorite musician in the entire history of the blues. It is wondrous to consider this direct transmission of the blues from Son House to Muddy Waters. By studying Son House’s music for so long, and emulating this early master of the Delta blues, Waters became a direct lineal descendant of this deeply rooted strain of Mississippi blues. When Martin Luther King, Jr. was assassinated on April 4, 1968, he was planning a nonviolent movement aimed at winning an Economic Bill of Rights for the poor. Son House had labored on southern plantations, preached in Baptist churches, and served hard time in Mississippi’s notorious Parchman Farm penitentiary. House’s impassioned blues were “created in the infernal laboratory that was segregated, Depression-stricken Mississippi,” and “embody the alienation and isolation of the modern condition, whatever the listener’s cultural background,” as Tony Russell and Chris Smith wrote in The Penguin Guide to Blues Recordings. House sings with unbelievable fervor and his intense, raw-edged slide guitar is the perfect accompaniment to his harsh, raging vocals. Rolling Stone’s music reviewer David McGee captured perfectly the passionate intensity of House’s slide guitar, writing that rather than employing intricate polyrhythms or complex single-string solos, House fiercely attacked his guitar and made it wail with unsettling intensity so that it howled alongside his singing. Folklorist Alan Lomax and musicologist John Work followed that wind through Mississippi in 1941, and made some deeply valuable recordings of Son House for the Library of Congress. House then told Lomax about Muddy Waters, and Lomax traveled to Clarksdale to make the first recordings of Waters at the Stovall Plantation in 1941 and 1942. When Muddy first heard his voice on those recordings, he finally realized that he truly was a blues singer. In May of 1943, less than a year after his final recordings for the Library of Congress, Waters left his job at the plantation for good after the overseer refused to raise his pay as a skilled tractor driver from 22 1/2 cents an hour to 25 cents. The rest is history. Muddy Waters boarded the train for Chicago, and never looked back. He went on to electrify the world, creating an influential model of highly amplified urban blues — born on the Mississippi Delta and then alchemically transformed during countless late-night sessions in Chicago’s blues clubs. Muddy Waters and Chicago’s other blues masters — Little Walter, Otis Spann, Howlin’ Wolf, Hubert Sumlin, Elmore James, Sonny Boy Williamson, Jimmy Reed, Big Walter Horton, et al — then began traveling all over America and Europe, helping to give birth to rock and roll, jump-starting the British Invasion, and ultimately inspiring music lovers all over the world with their brilliant artistry that transcended all barriers of race, class and nationality. They electrified the entire world. Just as the Delta blues first came to life in Mississippi, so did the Poor People’s Campaign. This attempt to build a nonviolent uprising for economic justice first become an overwhelmingly urgent priority for Martin Luther King after he visited Marks, Mississippi, a poverty-stricken town in the Delta, in 1966. King had come to Mississippi after civil rights activist James Meredith had been shot three times by shotgun blasts on the second day of his personal “March Against Fear” that began on June 6, 1966. Meredith had planned to march from Memphis, Tennessee, to Jackson, Mississippi, but Aubrey James Norvell, a white assailant, gunned him down. Norvell would later plead guilty to the shooting. In outraged response to the shooting, thousands of civil rights activists came to Mississippi to carry on the spirit of Meredith’s march, and Meredith himself recovered from the shooting and was able to rejoin the march as 15,000 demonstrators entered Jackson on June 26. During the March Against Fear, an elderly marcher, Armistead Phipps, died of a heart attack, and King traveled to Marks to preach at his funeral. During his first visit to Marks, according to Hilliard Lawrence Lackey’s book, Marks, Martin and the Mule Train, Dr. King was moved to tears by the “pervasive sense of hopelessness and widespread hunger” he witnessed in Marks. King wept again during his second visit to Marks in 1966 when he witnessed a teacher feeding her young students a slice of apple and a few crackers for their lunch. Public schools in many southern states had refused to accept federal aid for school lunches in their attempts to avoid federal integration laws. Marian Wright Edelman described King’s reaction to these encounters. Edelman also accompanied Senator Robert Kennedy on a trip to Mississippi. Edelman wrote that when Kennedy saw the poverty and hunger there at first hand, “his profound shock and sadness motivated him to act too.” Kennedy’s visit to Mississippi put hunger on the national agenda, and resulted in a coalition that became active on childhood hunger, malnutrition and illness, she explained. The vision of the Poor People’s Campaign was to make poverty and hunger and slum conditions visible to federal lawmakers and to the entire nation. Due to King’s heartbreaking encounters with malnourished children in Marks, Mississippi, the small Delta town was chosen as an important symbolic starting point for the Poor People’s Campaign. Ralph David Abernathy later wrote that Dr. King wanted the campaign to start “at the end of the world” — meaning in the impoverished town of Marks. Perhaps the most well-remembered image of the entire Poor People’s Campaign was the Mule Train that left Marks, Mississippi, on May 14, 1968, on a thousand-mile journey to Washington, D.C. Twenty-eight wagons pulled by 56 mules arrived in the nation’s capital on June 19, and went on a procession down Pennsylvania Avenue. It is deeply instructive to listen to the poignant blues songs written in response to Dr. King’s murder, and thereby learn how people from the grass roots of the black community — people who were not activists or political figures — expressed their heartfelt reactions to the death of a leader, and the loss of a man they considered a friend. It enables us to see that everyday people had found so much hope in King’s courageous activism, and held so much love for him. It allows us to see how deeply they had shared his dream, and how shattering his death was for them. Activists and political theorists have argued ever since about whether “idolizing” King takes away from the message that it is the people who build the movement, and not just the charismatic leaders. That is true in many cases. Yet, in this case, the honest and immediate reactions to King’s assassination demonstrate how much reverence and love people held for him, and what an irreplaceable and prophetic role he played in their lives. Those reactions went far beyond the expected levels of grief and encompassed everything from the outrage that erupted in widespread rioting to the love that was expressed in so many unforgettable blues songs. Big Maybelle, born Mabel Louise Smith in Jackson, Tennessee, was one of the finest rhythm and blues singers of the 1950s and ‘60s, with a big, beautiful voice that could joyfully roar out in soulful celebration, yet could also deliver sensitive renditions of finely nuanced ballads. It is difficult to fully describe her vocal talents without sounding like a contradiction in terms, because Big Maybelle usually growled out the blues in a gravel-voiced roar, yet could shift gears to sing in touching and lovely tones. Although she roars through this hard-rocking lament with unbelievable passion, she also demonstrates how a powerful voice under perfect emotional control can be sensitive enough to express the sadness and grief in the hearts of many. Maybelle’s singing is so strong that it rocks the foundations of the world — just as King’s death rocked a nation to its core. Yet, at the same time, she sings as tenderly as a mother who has lost her child. Big Maybelle begins her lament with shocked disbelief at the loss of Dr. King. It is a deeply felt reminder of how hard it was for people to believe that “the King of Love is dead,” as Nina Simone described King’s death in her own anthem. When Big Maybelle sings with so much love and grief and urgency, she takes us right back to the time when the nation first learned of King’s death and tried, in those heart-stopping moments of devastation, to comprehend how much had been lost. “It just don’t seem real, that’s all I can say. It is heartbreaking when she sings, “I can’t BELIEVE that Dr. King has passed away.” Her sorrowful voice breaks into a sob right after the word “believe.” The immense power of her singing is made all the more expressive due to the scarcely controlled catch in her voice. In my mind, this is the finest tribute to Martin Luther King of all, and Big Maybelle’s bighearted voice may be the only instrument strong enough to carry the weight of an entire nation’s heartache and outrage and tears. 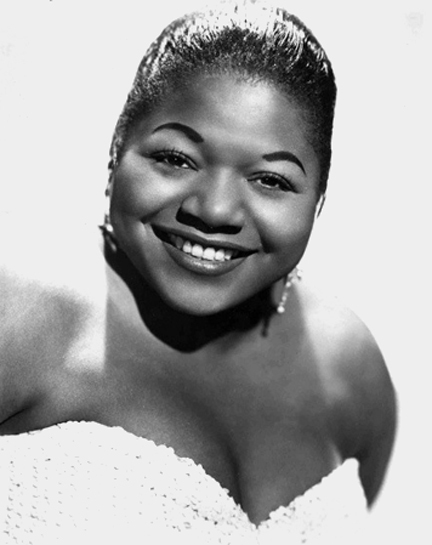 In fact, Big Maybelle’s heart and voice were big enough to bear the sorrow of the entire world. That is precisely what she does in singing this final verse. “The whole world! The whole world is going to miss you! Big Maybelle’s song is also the most spiritually profound and the most deeply consoling of all the songs written in the aftermath of King’s murder. She moves seamlessly from her outrage at the “great waste” of a great man who was needed by his people, into a beautiful expression of her faith that he has gone to a much better place. Her anger is vivid, her grief and shock and anguish are shouted out with all the power of her being, and yet her tender affection for King spills through every verse she sings. It somehow leads her to the same affirmation of faith in heaven that was at the heart of Rev. King’s life and faith and activism. But Maybelle doesn’t simply adapt this common blues theme to fit her song about King. Rather, she TRANSFIGURES it into an extraordinarily powerful message about faith. She can tell Dr. King to never feel blue because of her faith-filled certainty that he will be welcomed in heaven. “So don’t worry, never feel blue. And Big Maybelle still has another prophetic lesson to offer the world. Now that the dreamer has fallen to an assassin’s bullet, those of us who are left behind must carry on his work for justice. “You served God’s purpose and now you’re gone. Those of us who are left, in your name, must try to carry on. There’s one more thing, oh Lord, I would like to say. Even to this day, after hearing her song so many times, I am still amazed how, in just a little over three minutes, Big Maybelle expresses an entire nation’s outpouring of love and sorrow and anger, and then goes beyond that to teach us so much about life, about death, about finding the strength to carry on after so great a loss — and about faith in heaven and the spiritual conviction that death will not have the final answer. “Those of us who are lucky are going to see you again one day.” Listening to Maybelle sing those words, I am reminded of how much our nation learned — and how much I learned — from the Freedom Movement led by African-American people in the South. I learned nearly everything I know about nonviolence, nearly everything I know about building a movement of resistance. I also learned so much about the power of love and faith. Her singing has the emotional depth of the blues and the spiritual depth of the gospel music created in the African-American churches. Both these forms of music — blues and gospel — come together beautifully in the way Big Maybelle roars out the lyrics, “Heaven will welcome you, Dr. King. She shouts out the word “heaven” with all the vocal fury and passion of great Mississippi blues singers like Son House and Howlin’ Wolf. Her voice is full of despair and heartache and loss, an emotionally expressive outcry that only the greatest blues shouters could match. Yet, in that same voice — a voice with all the soul-fire that the best blues singers ever possessed — she also reaffirms all the love and faith in God expressed in the great gospel songs. On April 3, 1968, on the day before his death, Rev. King told the congregation of a church in Memphis, “I’ve been to the mountaintop.” I cannot help but believe that Big Maybelle’s voice was powerful enough, and resounded far enough, to reach that mountaintop. Right after four Sunday School students — Addie Mae Collins, Cynthia Wesley, Carole Robertson and Denise McNair — were killed when their Birmingham church was destroyed by the Ku Klux Klan’s dynamite, Martin Luther King talked about faith. After his own home was bombed, Rev. King talked about faith. And after King himself was fatally shot in Memphis, Big Maybelle picked up the fallen torch and sang about faith. Big Maybelle, one of the most powerful blues shouters of all time, was transformed, for the duration of this awe-inspiring song, into a pastor, a caregiver for the nation’s soul. Her spirit rose to the occasion with a performance that is heartbroken, but still believing. She is enraged and outspoken, but still gentle and comforting. Her song is both an elegy and, at the same time, a freedom song in the best tradition of the Freedom Singers who gave so much strength to the Freedom Movement. We can only thank God for giving Big Maybelle a voice big enough and glorious enough to roar out a freedom song that transforms heartbreak into fierce determination. “Those of us who are left, in your name, will try to carry on,” she sings. Labor organizer Joe Hill’s famous statement, “Don’t waste any time mourning, organize!” is supposed to be inspiring, yet it always has seemed somewhat lacking and incomplete. It does inspire us to carry on the struggle, yet it tends to reduce us only to political beings. When you lose someone near and dear to you, a mere slogan to keep up the good fight doesn’t fully take into account the depth of the human soul. Unless we’re merely political automatons, more than that is at stake. Why can’t we mourn and organize? Big Maybelle’s song seems so much deeper to me, so much more soulful and human-hearted. It gives full voice to our sadness and tenderly expresses how much we miss the loved ones we have lost, while also expressing an unbroken determination to carry on the struggle for freedom.